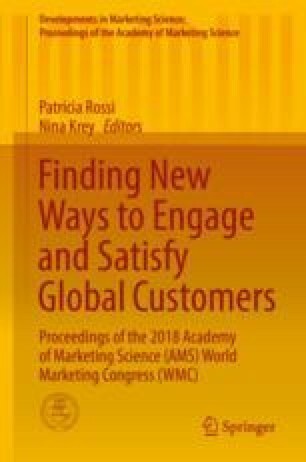 This chapter contributes to the still very reduced marketing literature that deals with big consumer behavior data using cloud analytics by summarizing some of the main extant academic researches and by introducing new applications, datasets, and technologies in order to complete the picture. Both internal “purchase history” and external Web-based customer reviews and social media data are discussed, organized, and analyzed. They cover volume and variety aspects that define big data and uncover analytic complexities that need to be dealt with. Bradley, J. (2016). Apache® Spark™ MLlib: From Quick Start to Scikit-Learn. Retrieved October, 2017, from http://go.databricks.com/spark-mllib-from-quick-start-to-scikit-learn. Forrester, (2011). Expand your digital horizon with big data. Forrester. Retrieved May 27 from http://www.asterdata.com/newsletter-images/30-04-2012/resources/Forrester_Expand_Your_Digital_Horiz.pdf Accessed July 7, 2017. IBM. (2011) From stretched to strengthened—Insights from a global CMO study. Retrieved September 17, 2015, from http://www.ibm.com/services/us/cmo/cmostudy2011/downloads.html. Laney, D. (2001). 3D data management: Controlling data volume, velocity, and variety, technical report. Retrieved October, 2017, from https://blogs.gartner.com/doug-laney/files/2012/01/ad949-3D-Data-Management-Controlling-Data-Volume-Velocity-and-Variety.pdf.